Eastern mouse spider (Missulena bradleyi) in warning posture. 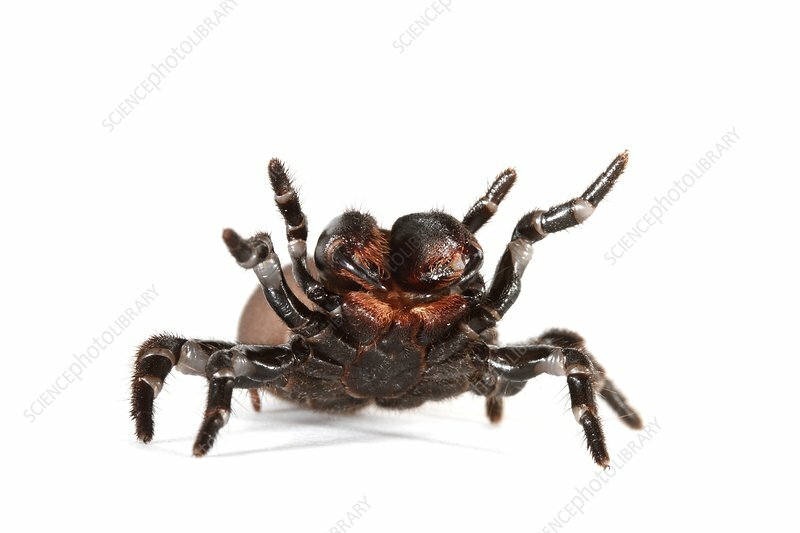 Often mistaken for the Australian funnel-web spider, this spider is distinguishable by its crossed fangs (the funnel-web's remain parallel). Its venom causes numbness and tingling, but requires no urgent medical care. Females will spend their whole lives in or near their underground burrow. Males can be found wandering in early winter, especially after rain. Mating will normally take place in the female's burrow.